Pioneers in the industry, we offer mattress protector, quilted pillow protector, waterproof mattress protector and quilted mattress protector from India. 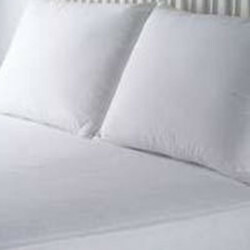 We bring forth a unique range of Featherlite Mattress Protector, which is used for keeping the mattresses and individuals sleeping on it, away from certain problems. 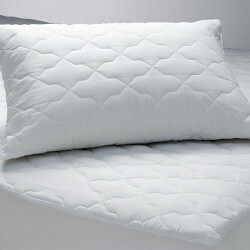 Having high absorption capacity, these protectors absorb various coffee & sweat stains, thus keeping the mattresses clean. These are water resistant protectors thus, able to have a longer service life. Keeping track with the latest market development we are actively engaged in offering supreme quality of Quilted Pillow Protector .